In this series, I have explored different interesting geometric forms of book lights including a triangular book light, a rectangular book light and a bookmark book light. Starting with a triangular solid corner piece that fits the corner of any book. The surface of the longer edge is removed to help insert it in the corner of a book. One of the shorter edges is removed in order for the corner piece to move along the length of the book. A small incline in the top flap of the corner piece ensures a better light distribution across the page. A stylish triangular booklight that fits the corner of any book. 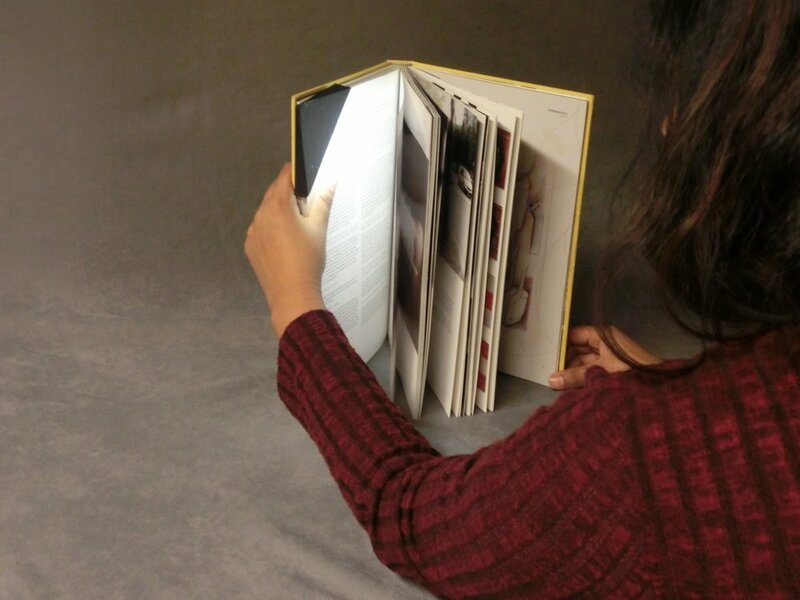 This rectangular book light can be placed along the edges of a book light and can be slid up and down along the edge. Can be fit along the longer edge of a book. It has a good light spread that illuminates the entire page of a book. This booklight is shaped like a bookmark with a long stem. It can easily be inserted between the pages of a book. This book light is inspired by a book-mark. It has a long triangular flap that can be slid between the pages of a book.